Can someone make a video tutorial for those who are having trouble, including me? I keep getting a blurry screen, and the one time I got it to work everything was some shade of blue. I second this. Colors keep getting inverted for me, no matter what I do. Kind of hard to make a video tutorial for some problems, since ReShade isn't very known of a program. Especially when it comes to bug reporting in the Space Engine realm. That ones is giving me a headache. I have been trying to get to work as intended but when I turn in on, I dont see any illumination of the surface from the atmosphere. Help is appreciated. After a bit of troubleshooting, I've found out the only way (for me) that this would happen is if you're playing in Windowed mode. Basically, what reflection amount does is change the strength of bumpmapping and refletions. Very high values make things look flat though. Sure. Attached it to this post. I think I got some settings I really like. I have to warn that this may be a bit system intensive. 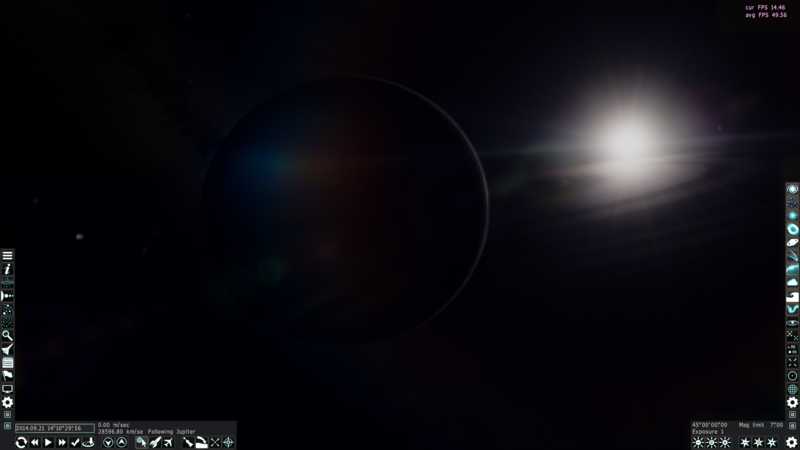 There are bugs, the HUD looks overly sharp, sometimes things may be too bright(adjust exposure with "< >" keys), and some star sprites get strange artifacts. There may be other issues but thats to be expected. if the slight blue/purple overlay bothers you, just disable crossprocess, this might mess up other colors however so you may need to do your own tweaks. You can take comparison screens by pressing F11 default screenshot key, then using CTRL+~ to disable the GUI, then use print screen which saves a screenshot with effects in the system folder. You need to play around with exposure in game to get the right looking screenshots, but overall I think this is an improvement. How can I get bluish scenes like your screenshots? 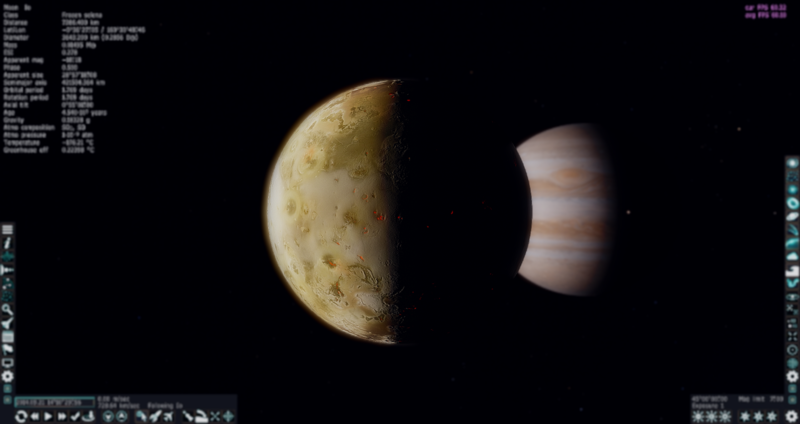 I tried setting use your Reshade.fx and doing everything I can. But it crashed or doesn't work. From the start, are these compatible with SE 0.974 beta? What did you use SE and Reshade version at that time? The recent patches don't work right with it. I haven't tried the more recent reshades, I might look into it eventually. Ok, I'll try to do! Due to the way the newest version of ReShade is structured, DoctorOfSpace's tweaks aren't compatible since the newest versions also use a different structure of code. You can, however, use older versions of ReShade pre-Mediator! Is there anyone who's had any succes using reshade 1.1.0 with DoctorOfSpace's or SolarLiner's presets? I've tried locating the textures manually and checking reshade's forum to no evail. I noticed another user in this thread having the same problem. Are you running SE with LOD set to 2? The screenshots would make me think so. One more thing, I'm supposed to overwrite the files in the SE system folder and not Reshade Framework's folder? Are you running SE with LOD set to 2? For the screenshots yes, for normal gameplay I play in a window at LOD 0. You could, but I would recommend just extracting it all to the system folder after you remove the previous Reshade. then download the uiMask.png below and put it in /system/ReShade/BasicFX/Textures/uiMask.png, overwrite the existing file. Its not perfect and you can edit the uiMask.png to suit your needs. The black color indicate the UI that you want to `mask`. 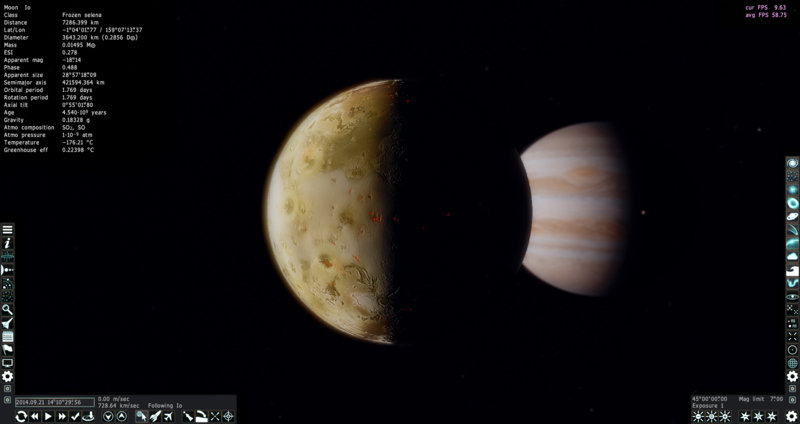 Will in the future, SpaceEngine implement DOF and RBM effect like those in ReShade? While they sound like nice features, I'd expect RBM to be replaced with something much better if something like it was implemented.